Marijuana Leaves Curling Up? Here’s What To Do. Question: What do I do if the edges of my leaves are all curling up? I’m a first time marijuana grower and just noticed this happening to only two of my plants. Jay Kitchen and Uncle Tweezy: First I’m going to give you a qualifier—we don’t really have enough information to give a you a specific answer. That’s because we don’t know some of the basics about your grow operation such as how far along your plants are, how many you got, what size containers they’re in and so on. But there are a number of reasons that your leaves could be curing up. So we’ll shoot from the hip and try to help you out, know what I’m saying. It could be that those two plants might be root-bound, or maybe they could have inferior genetics or the seed could have been kinda icky. We’ve seen a lot of Sour strains that have leaves that just taco-up with really sharp edges. I don’t know if that’s your problem, but then again we don’t know what strains these are. Marijuana leaves curling up, but no discoloration? You could be over-watering the plants or applying too much nutes. There could also be a mineral imbalance, or calcium imbalance. How close the plants are to the light source could be causing the problem. Grow guru Ed Rosenthal talks about a lot of the reasons why marijuana leaves curl up and so does Jorge Cervantes—you should check out their stuff if you need more in-depth information. But if the leaves aren’t discolored or dropping off just flush and see what happens after a week or ten days. Since you’re a first time grower you may be over watering those plants a little bit, or adding too much nutes, or they may be root bound. When in doubt, though, flush it out. Flush your plants with plain water and then you can begin again. And definitely make sure your plants don’t stay in the same container too long because after a while you’re going to start seeing leaf curling and other leaf anomalies. Also be careful if you’re going organic—make sure your products are really organic, not organic-based. A lot of companies claim that their products are organic, but they’re not really organic in the sense that they don’t have chemicals, salts or edta’s. Speaking of not keeping them in pots too long… I’m using 5 gallon fabric pots which air prunes roots. Problem is, if I don’t rotate those pots they will dry from one side … I thought it would be so much easier to handle and not being root bound sounded great. At 3 weeks if turning pots 4 times a day I feel the need for a new strain name. OG Dizzy Granny. What r your this on air prune? Fabric pots are amazing! I wouldn’t worry about turning then so much, the outside might dry out but the majority of the moisture stays on the inside of the pot, I have 3gal pots and water every other day, media is peat and perlite supersoil. Air pruning works so nice. These fabric pots must have like double the root mass of a comprable plastic pot!! What is a safe spider mite treatment to give outdoor plants before budding ? The leaves on my plants are curling up only on the top of plants how do I cure? The words Organic and Natural drive me crazy. Organic simply means having a carbon atom. Lame. Natural is anyone’s guess. Our gardens, our attempts to grow plants will be artificial by any proper definition. ‘Mimicking’ how ‘nature’ works with what little we know about soils, botany, chemistry is as close as we will be able to get to being au Naturale. And that is a good thing. Marijuana is MAKING gardeners and causing us to learn more about plants and THIS IS REALLY COOL! I love Jorge’s The Cannabis Encyclopedia. All about ONE DANG PLANT but relevant to all plants. The detail his book gets into is indispensable for all gardeners to have on hand. Yay, Jorge! I vote we gardeners quite the use of the words and definitely these new fads or trends… ‘organic, natural, permaculture?, no till, not fertilizer’….makes me want to scream and then puke. Then there is hugelkulture…scream again! Perma culture. Permanent Culture. Oxymoron. Culture is the act of caring in this case, plants. There is no such thing as a Permanent caring of plants where we humans can walk away. Don’t get me going on Hugelkulture (I want to talk to the inventor), I’ll get vicious with No Till and No Fertilizer. Wonder how long Johnny Appleseed’s seeds made it…where the heck are all those apple trees? Grins! The tobacco mosaic virus (TMV) is a disease that attacks not only marijuana plants, but also tomato, pepper, eggplant, tobacco, spinach, petunia, and marigold. It isn’t very selective, but it does have a high impact. Read this article and learn how to recognize and treat TVM. The tobacco mosaic virus is, as its name hints, a type of virus. It can live in contaminated soil, infected plant debris, the coating of a seed, and even in tobacco products that have been manufactured. The virus travels between plants generally through a mechanical cause. Your hands can even spread the infection. If you unknowingly work with an infected plant and then come in contact (or your clothes or tools come in contact) with a healthy marijuana plant, the healthy plant has a high chance of catching the virus. Some insects may also be carriers of the virus, but aphids are not one of them. It’s generally insects that will chew on your plant. 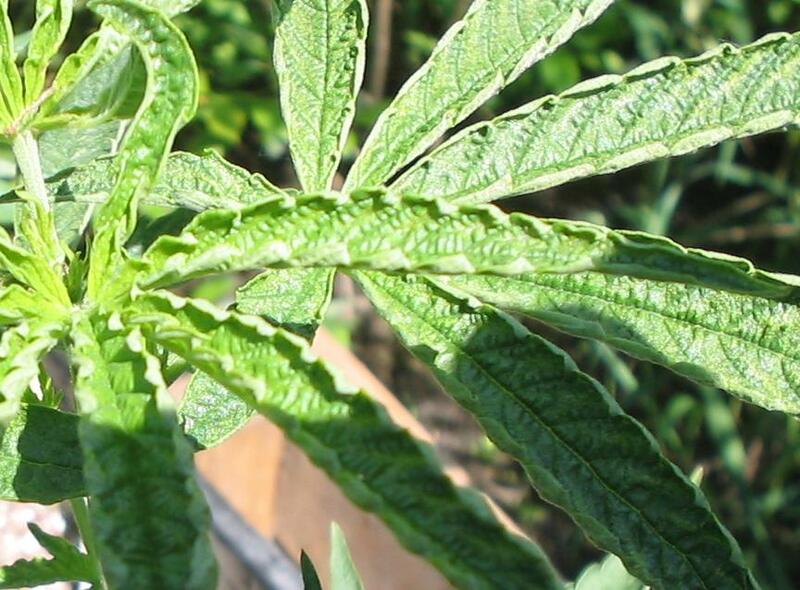 You will know that your marijuana plant has the tobacco mosaic virus by its green mottled areas on the leaves. These mottled areas are both dark and light green and are caused by the presence of the virus. Oftentimes the dark parts of the leaf are physically thicker than the lighter parts. Additionally, if the leaf is underneath shade than it is easier for the grower to spot the discoloration. Tobacco Mosaic Virus causes stunted growth in young plants, and may distort the leaves into a fern-like shape. Older leaves, on the other hand, may be a bit distorted, but they mostly just curl downwards. Depending on the virus strain, buds might also be mottled, streaked, or show signs of necrosis. While plants that are affected won’t be killed by the virus, they will have worse buds and, therefore, worse yields. 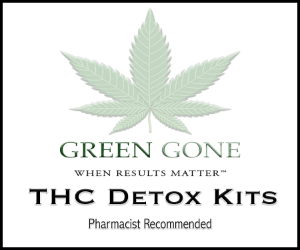 Not sure if your marijuana plants suffer from a TVM infection? Unfortunately, once your plants are infected with a virus, there is not much you can do about it. Virus diseases simply can’t be controlled once they have been transmitted. This is why it is particularly important to prevent the virus from infecting your plants in the first place. Your best weapons against the transmitting of this disease are sanitation and caution. If you do discover a plant that has been infected, you should remove it from the rest of your garden at once. If caught early enough, this should stop the spread of the tobacco mosaic virus. If you or anyone else uses tobacco or has worked with plant material that was infected, they should wash their hands with soap and water. This will prevent it from spreading to any other plants they are handling.